In our last blog entry , we discussed elements of a well-rounded running program. We also discussed why preventing injuries is critical to achieving your running goals and how physiotherapy can help. In this blog entry we’d like to discuss injuries that tend to appear in runners. While there are a number of really common ones, we’re going to focus on “shin splints”. We’ve treated a few patients lately who have developed this condition while running. Shin splits are a common running injury, but have an excellent prognosis and are relatively straight forward to treat (if treated early). Most people first learn about shin splints when they develop pain (sometimes excruciating) on the front or inner-side of their lower leg. Shin splints can affect one, or both, legs. It tends to get worse with running (or any loading activity), and feels better with rest. Often, the pain associated with shin splits makes running, and other loading activities, unbearable. Shin splints are essentially an overuse injury of the muscles that attach onto your shin. If you feel pain on the front of your shin, it’s likely the tibialis anterior muscle. If the pain is on the inner-side of your leg it’s commonly the tibialis posterior muscle. These muscles may become inflamed, tender, and sore to the touch – this signifies that the muscle has been damaged (strained) and needs to recover. Patients sometimes ask if shin splints mean the shin bone (tibia) is fractured – it does not. However, in exceedingly rare cases untreated shin splints can develop into tibial stress fractures. Therefore, it is important to seek advice early in order to obtain a proper diagnosis and begin treatment. While many things can contribute to shin splints, we’ll focus on the big ones in running: overuse, and improper running biomechanics (poor running form). Generally speaking, overuse refers to those increasing their training load too quickly. There’s a reason why Sun Run training clinics are spread over three months – gradually increasing training load helps prevent these types of injuries. Improper running mechanics are often due to tight or weak muscles in the glutes, core, legs, etc. While these two causes are most evident in newer runners, they can appear from time to time in even the most trained runners. How can I fix my shin splints? Fortunately, treatment for shin splits is relatively straight forward and prognosis is excellent. Your physiotherapist will assess the severity of the injury and then focus on reducing pain and inflammation. 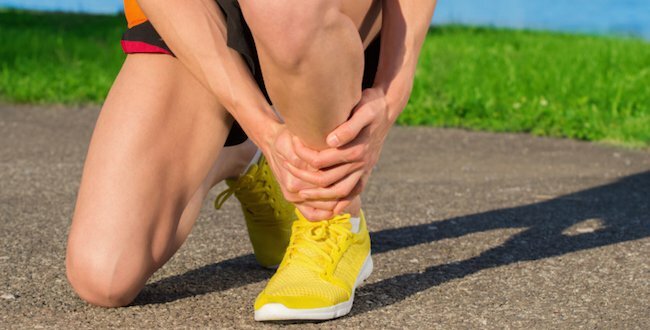 The therapist will also help determine the cause of the shin splints (for example, improper biomechanics, overuse, or other) so an appropriate treatment plan can be developed. Typical treatment includes muscle strengthening, stretching, heat/ice and biomechanical corrections. A majority of patients are well on the road to recovery after 4-6 weeks or so. 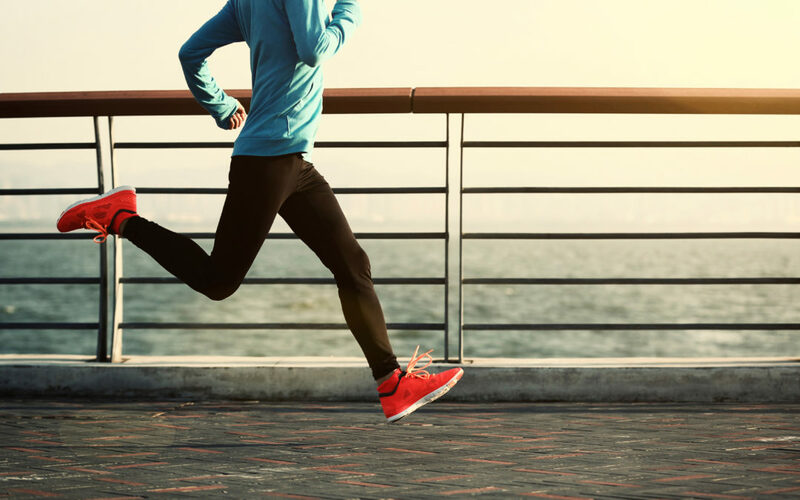 If it sounds like you are suffering from shin splints, come see one of our physiotherapists for an appointment and we can get you on the road to recovery. January 1st often signals the start of running season for many local runners. Whether your goal is running your fifth BMO Vancouver Marathon, or your very first Sun Run, training injuries are a demoralizing setback. Unfortunately, many runners, especially those new to the sport, often quit their training entirely after an injury. It seems every runner eventually breaks down as their weekly mileage increases. What can be done about this seeming inevitability? First, remember injuries are extremely common in any sport, especially a sport as demanding as running. Second, having an injury doesn’t mean you’ll need to skip the races you’ve signed up for, or quit your training. Our physiotherapists often see clients starting from a similar place: they are eager to finish a race, but often their training programs are missing critical elements. Although these elements sound time consuming, it doesn’t have to be. A well rounded workout and recovery program is critical for you to properly prepare and enjoy your race. So how can a physiotherapist help you achieve your running goals? Physiotherapists can assess a runner’s flexibility and muscle strength/function to identify any muscle imbalances you may have. These muscle imbalances are often where injuries occur as your training ramps up. Once identified physiotherapists can work with you to correct these imbalances through exercise (point #5 above). 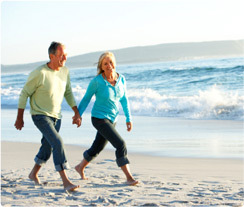 Physiotherapists can also provide advice on stretches (point #3 and #4 above), exercises and gait assessment (correcting poor running technique). When you’re ready for professional help in achieving your running goals this season, be sure to give us a call, or send us an email. If you can drop by one of our clinics in South Surrey or White Rock, that’s great. 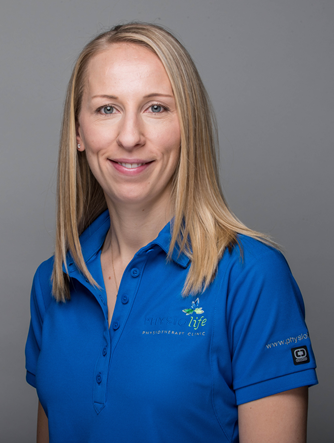 If you don’t live close by, one of our physiotherapists would be happy to refer you to a physiotherapist trained in running injuries closer to where you live or work. Have fun running, and we’ll see you out on the courses! PhysioLife is pleased to announce that Physiotherapist Satvir Hundal has joined our team. Satvir’s academic career includes both a Bachelor of Science in Kinesiology from Simon Fraser University, and a Masters of Physical Therapy from the University of British Columbia. In addition to her degrees, Satvir has also completed courses in the Mulligan concept, soft tissue release, and is currently working through the orthopaedic levels (advanced training in manual and manipulative therapy). She also plans on pursuing additional post-graduate training in Women’s Health. Satvir’s passion for Physiotherapy started when she worked as a Physiotherapy aid through the co-operative education program at SFU in a school working witih children with learning disabilities or special needs. This experience left her wanting to continue helping clients of all ages to be as physically active as possible. She loves being able to help assist clients meet their treatment goals through the application of manual techniques, exercise prescription and education. Satvir’s previous experience as a Kinesiologist, and as a physiotherapist in both private and public settings makes her a well-rounded therapist. As such, Satvir’s patients have a broad range of injuries and ailments, but she has a particular interest in pre/post natal health and incontinence. In her spare time, Satvir enjoys going on runs with her dog, hiking with her friends, and doing bhangra (Indian dance). Satvir is fluent in Punjabi.